When it comes to your facial structures and smile, a dentist is one of the best experts to see and trust. 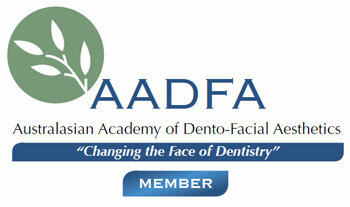 Our Canning Vale family dentists each spent five years in university studying orofacial anatomy and function. As clinicians and artists, dentists understand the delicate balance between dental health, beauty and the fine details involved. That’s why Dentist WA Canning Vale is now pleased to offer services such as wrinkle relaxers and dermal fillers for your aesthetic and orofacial needs. Injectables like wrinkle relaxers and dermal fillers can help a person improve the way they feel, especially if they are conscious of imperfections in the face. There’s nothing wrong with getting older, but relaxing the skin and muscles around the mouth and eyes can help certain people feel more youthful! We ensure that all injectable treatments look as natural and age-appropriate as possible. As you can lose some of the fullness of your skin with age or tooth loss, pairing dermal fillers with restorative treatments is an extension of the way we are better serving the aesthetic concerns of our patients. We offer two types of injections, as the cause of fine lines and creases vary depending on their location on the face. Whether you prefer to lessen the signs of creases and lines in the forehead or wish to prevent certain wrinkles altogether, our dentists can help you take steps to do just that. Dermal fillers use sugar molecules that are injected into areas where volume has been lost, to fill the space from within. On the other hand, wrinkle relaxer injections block the nerve impulses of muscles to release tension in that specific area. Both work in two very different ways, so the best one should be selected based on the area being discussed with your clinician. These injections were initially introduced in dentistry to help people relieve the symptoms of frequent headaches, facial pain, teeth grinding at night and TMJ disorder. If you prefer not to wear a splint or a mouthguard is not enough to help with the pain, injectable solutions can make a big difference. Speak to our staff today and they can give you their personal experience with this treatment to help with symptoms of recurring headaches associated with TMD. The injections used for wrinkle relaxers and dermal fillers are quick and mild. Because they are so small and just at the surface of the skin, there is no need to anesthetize the area being treated. Dermal fillers take a little longer and this is another reason why our dentists are the best option for treatment. Being fully trained in anesthetic techniques they can make sure any area being treated is anesthetized making sure you are not in any discomfort at all. Contact Dentist WA Canning Vale to schedule an appointment, so that we can assess your concerns and offer guidance as to the best type of treatment. A consultation appointment will be arranged for you so that our clinician can explain the options available and allow you to select which one is most appropriate. After your consultation, we recommend taking time to process all of the information and options provided. Once you have chosen the option you are happy with we can schedule an appointment for your treatment as soon as possible. It takes only 5-10 minutes to completely treat areas around the forehead, eyes (crow’s feet) or smile lines. You should start to see results from your treatment within the first 4-10 days. Like any injection, there is the risk of minimal discomfort, inflammation, tenderness, swelling, redness or bruising. Most people can return to work or their everyday activities straightaway, as there are usually no noticeable marks left after the treatment. Other side effects can include pain, complications to eyesight, dizziness or headaches, our clinician will discuss all of these in detail with you at your consultation. Learn more about how our Canning Vale wrinkle relaxers and dermal fillers can help you feel better about the way you look in the mirror. Contact us today to schedule a consultation!